Lauded as Russia’s longest running travel exhibition, the Moscow International Travel & Tourism Exhibition (MITT) is a key meeting place which witnesses participation of over 192+ tourism destinations and various participating companies. In addition, it endows the real and substantial feel of Russian travel market, revealing the significant travel hotspots and key players. This major event for the tourism industry is organised by ITE Group, the leader of the exhibition services market in Russia. OTDYKH Travel Market is Russia's leading travel and tourism event. The word OTDYKH means "leisure", which is exactly the central aspiration of this fair. The annually occurring travel event in Moscow is the perfect start for the upcoming winter season on the Russian inbound and outbound market. Since 1995, OTDYKH is a must attend event for travel professionals, a platform for negotiations and signing contracts. The event combines all relevant sectors of the tourism value chain, including 'Leisure Travel', 'MICE and Business Travel', 'Medical, Spa & Health Tourism', and 'Luxury Travel including Gourmet & Wine tourism'. World Travel Market is the leading global event for the travel industry, generating more than £2.8 billion of business contracts between attendees. The show attracts a global audience that shapes the travel industry. Over three days, the travel industry comes together to exhibit destinations and technology, and network with travel professionals, key industry buyers, journalists, digital influencers, students and tourism Ministers. This vibrant event offers the opportunity to discover the world under one roof, and be inspired by industry leaders discussing trends, issues and innovations in the travel industry. The Great Indian Travel Bazaar intends to strengthen inbound tourism. The event witnesses active participation of foreign buyers, Indian sellers, policy makers, investors and media persons. In this 3-day event, a wide range of hotels, tourism products and destinations are showcased. The exhibition is co-organised by the Indian Ministry of Tourism; Department of Tourism, Government of Rajasthan; and Federation of Indian Chambers of Commerce and Industry. FITUR is a global meeting point for tourism professionals and the leading trade fair for inbound and outbound Ibero American markets. Every year this event garner great success with the participation of top-notch companies from over 164 countries/ regions, numerous trade participants and curious people from the general public. The event also catches media attention and brings spotlight to the latest trends, new technologies and matchless services being introduced in the world of travel. Famously called as the 'world's leading travel trade show,' ITB Berlin witnesses a participation of top notch companies from various countries. This unique B-2-B platform provides essential impulses to the growth of travel industry. This world's largest tourism convention includes everything from tour operators, destinations, booking engines, airlines, hotels and other travel related key components. The largest mega event for the international tourism industry professionals, UITM offers enticing options for the autumn and winter season. With qualitative target audience and extensive business programmes, this Ukraine based international travel event helps in building new business contacts, representing your products and services to an international audience and to get immediate feedback. The TTR is one of the most important tourism fairs in Romania. This exhibition is a communication and information platform in the industry that offers the exhibiting companies an opportunity to present to an audience of experts here. Visitors can find in depth and comprehensive information here about the latest developments, trends, products and services in various fields. Arabian Travel Market is a prestigious international travel and tourism event that brings out business potential within the Middle East for inbound and outbound tourism professionals. The event acts as a single platform for 2,800 exhibitors who showcase their products and destinations from around the world. Explore India, Your Way. With Us. 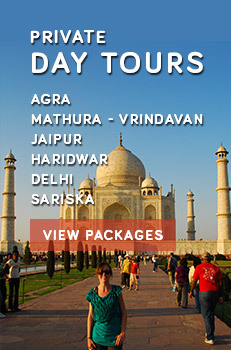 We at Caper Travel reveal the exotic, salubrious and indigenous side of India's engaging saga. By breaking stereotypes and perceptions, we help you in discovering India in your own personal manner. Our travel packages include luxury trains, spiritual pilgrimages, cultural rendezvous, Ayurvedic healing and adventurous escapades. You name the experience, we have it for you? Lose yourself in the luxury of the royal past and the epiphanic sunsets near snow capped mountains, silence of bewitching sun-sets and intricate carvings of the architectural monuments. Explore and Evolve with us! And that's not all. Even for your corporate and business meetings, we single out the best destinations and platforms, flawless technology and positive ambience for mutual dialogues and conferences. With customised trips, flawless execution and engaging journeys, we create a new language and ethereal language of peace. No one reveals the beauty of India's innocence, purity and distinctive culture like we do. Thus, to make our presence felt, we have been actively engaging at prominent global events and business-to-business meetings. Our idea is to interact with audience, media professionals, travel professionals and even government officials. Our commitment can be revealed through positive results and enhanced quality of tourism. Our exhibitions at international travel and trade festivals are innovative, hospitable and enticing. Our personal understanding, intuitive touch and perfectionist attitude continues to be our benchmark.